Stress is a killer. Literally. All that time spent sitting at a desk, dealing with job stress and the health complications associated with it along with the reality of life and it’s messiness – they can all take a toll on you – physically and mentally. 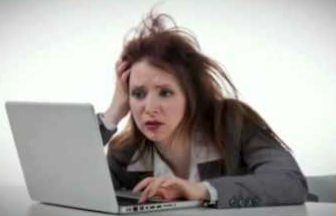 Stress doesn’t just weigh on your mind, it also creates tension in your body. 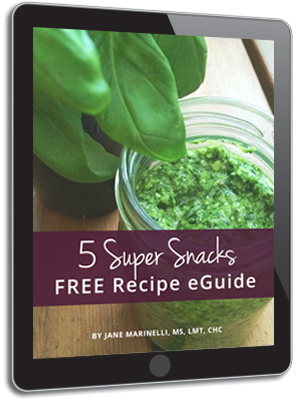 Luckily, there’s things you can do to alleviate both the mental and physical stress creating a happier, healthier you. Stretching releases endorphins that improve your mood and combat feelings of stress, anxiety and depression. Stretching will also release lactic acid and the pain and tension that accumulates from sitting at a desk all day or hunched over a computer. When you feel the stress or the pain of the day starting to get to you take five minutes out of your day to practice some stretches right at your desk. 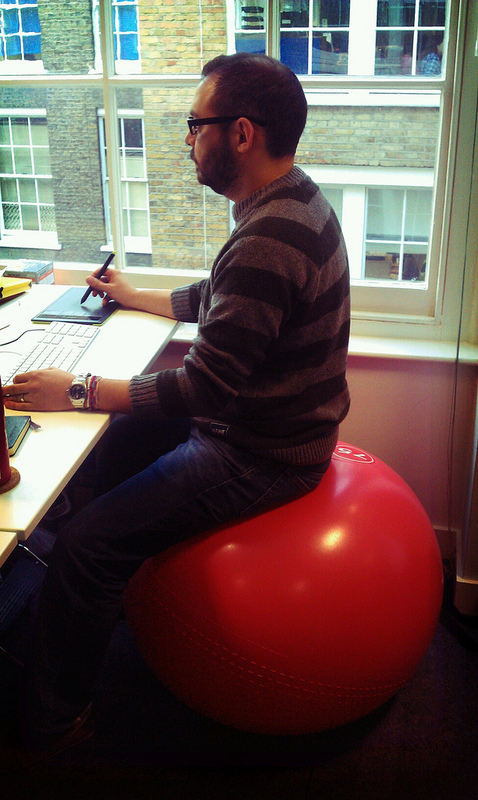 Speaking of desks, it might be time to ditch the chair in favor of a balance ball or a standing desk. Being sedentary is hard on the heart, the brain and the back. Humans were made to move and sitting around isn’t good for us. 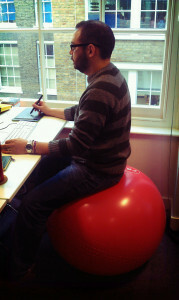 A balance ball forces you to use your muscles and movement in order to perch. It also reduces stress on your back, hips and shoulders. If you’re ready to take it a step further consider asking for a standing desk instead. 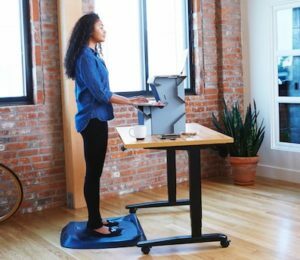 Standing desks, when used properly, can increase productivity, promote weight loss and eliminate pain. I bought these for my kids’ desks in their office for homework and they’ve been a lifesaver. 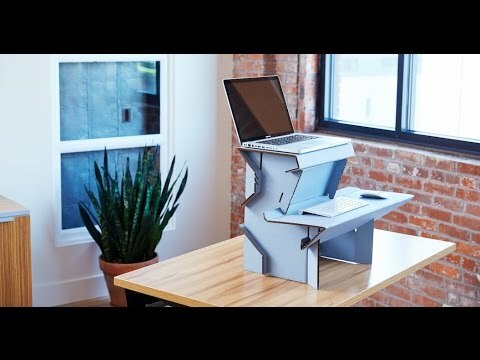 There’s also a really great and cost effective standing desk coming out called Spark. It will be available for only $20. The single best way to stretch out your stress is to get moving. Set an alarm every hour so you push away from your desk and take a walk around. Grab an office mate and take a stroll through the parking lot a few times a day. Use your lunch break to stroll around a park or hit the gym. Stress and pain happen when things accumulate. Get up and move around so you can clear out your mind and body. You’ll feel better!